We live in a world where it is easy to get into a routine. Now don’t get me wrong, a routine can be a very good thing! I have recently found myself in a season of life where I have no routine and I long for consistency. The problem that lies with having a routine is that we can easily put our lives on auto-pilot and not pay attention to the world around us. Today I was driving a familiar route and was thinking about things other than the road when I realized that I had driven through an intersection without looking up at the light to affirm that it was green; I was simply following the car in front of me. I then began to ponder how we often do that in our lives and in our faith? How often do we just follow the flow of traffic? We do this in various ways from picking a side on a controversial headline to even deep theological issues. I can remember being a teenager in the small rural church in West TN where I grew up. One Sunday morning, a boy in our youth group invited a friend to church and this friend looked different than the rest of our white American congregation. I can’t remember how it happened but I remember this guest being asked to leave because of the color of his skin. I clearly remember going home just mortified and talking with my mom about how I didn’t feel that was right. She explained to me that the person that asked this visitor to leave was a part of the church decades ago when the bylaws of the church were written in a way to establish segregation in our church. She explained that if the church wished to welcome guests of other races and nationalities, the bylaws of the church would need to be re-written or those members that clearly remember being a part of the church when those rules were established would continue to respond in that way. Even though my mom gave a clear explanation, it still didn’t settle well with me but there were many youth who received the same explanation from their families and never questioned it. This was a defining moment in my faith journey where I knew that my view on the world and on the church was different. My view on the world and on the church couldn’t be defined by church bylaws written during a time where whites and blacks were forced apart by a society filled with hate. My views on the world and the church were different from my family and I was scared for what that meant. I had always trusted their opinion as truth without question. What does that mean in regards to honoring my father and mother if my view on Christian issues is different from theirs? Just as we have to think for ourselves and not stand in the shadow of our parents’ and grandparents’ views and opinions, we also can’t stand in the shadow of their salvation accepting it as our own. It is very common among all parts of the world to claim a religion based upon the beliefs of their family rather than thinking for yourself. It is no different among Christian circles. We buy nice clothes and join our parents/grandparents for church on Easter/Christmas. We may even join them on a regular basis to appease them or check off some hypothetical “holy” checklist. Faith in Christ isn’t just a one time decision, one time walk down an aisle or even a one time ceremonial dunking/sprinkling/confirmation as a child. That’s the beginning for many but it is a daily decision to be obedient to Christ. No one can make that decision for you. You can’t just show up at your grandma’s church, stop on pass & go and her hand you a “Get out of Hell Free” card. Your salvation and your eternal life is contingent on your individual decision to follow Jesus Christ no matter where your family’s faith may lie. My grandmother was a saint of a woman who went to be with the Lord about 9 months ago. She was the most dedicated servant of the Lord I have ever known. Sunday School teacher, committee chair, sang in the choir at FBC Bells, TN for over 60 years!! She prayed for our family and prayed for others more than anyone. I would come home from college and visit with her and update her on my life and she would be so excited and say, “Oh I have been praying for that!” She forgave the unforgivable, loved the unloveable. She was faithful to the Lord and to her family and if her faith alone could have saved us all, there would have been no reason for her hours of prayers for us to each come to our own faith in Christ. Her salvation was her own and when the Lord called her home, there was no doubt in anyone’s mind where she would spend her eternity but in the presence of the God she so faithfully served for all of her days. My prayer is that we’ll open our eyes. That we’ll no longer cruise on auto-pilot. That we would make up our own minds. That we would think for ourselves and not just trust the opinions of our Pastor, Religious Leaders, Parents and friends. That we would confirm within ourselves that our faith in Christ is our own and is not based on the faith of others. That we would examine our hearts each day, repenting of our sin, turning from that sin and faithfully following Christ with our individual lives. That we would fully grasp that our salvation is not bound by our church attendance or good works but only by His grace and by His wounds are we healed. On this day in 1987, my mother went into labor and birthed a 7 lb. baby girl. Her first words when they told her that I was a girl were, “Oh No…” Now, please do not get the wrong impression. This is not a sob story about how from the beginning of my time on earth, I’ve not been loved and adored by my family. Not in the least. The next thing out of her mouth sounded something like, “my son is not going to be happy about this. He wanted a brother. He told me that if I had a girl, we would have to send her back…” Needless to say, the nurse immediately wrapped me up and went and asked my brother if she should send me back. 🙂 That was 27 years ago so clearly you can see that I was immediately loved and accepted into our family. As I reflect back on these past 27 years, I want to share a few things I’ve learned along the way in hopes that you can learn from my bumps in the road. 1. Your mom may not always be right. But there’s a 99.9% chance that she is. I spent so much time growing up thinking that my mom didn’t understand me and my adolescent problems. Even in college when I was trying to make good sound decisions about my future, I always thought that since my mom’s career path would naturally look different than mine, she couldn’t fully understand the decisions I was trying to make. How silly of me. I spend a considerable amount of time thinking to myself, “man, mom was right” and even now, “ok so what would mom tell me to do?” Heed their advice and cherish their wisdom. 2. You do not have to have everything figured out. I went into college thinking that I had it all mapped out. I would finish my 4 year degree in Theatre Performance and gain experience by performing in each and every school and community theatre show that would take me and then I’d move to New York and pay my dues to get to a Broadway stage. I just laugh when I think about that now and how quickly during my college journey the Lord showed me that my plans were simply that…all about me. There’s a reason why we don’t know when we’ll get married, when we’ll have babies, when we’ll die. God knows and that’s all that matters. He holds us in the palm of His hand and we do not have to have it all figured out. Seek out how you’re to be obedient one season at a time. 3. Go on a mission trip. Ignore the cost. Ignore your age. Ignore the fears located with the location. Just Go. Seriously, I’m talking to each and every one of you. Ask God to present you with an opportunity to go and serve Him. When I told my mom that I was going to go on my first mission trip to south Mississippi 6 weeks after Hurricane Katrina had struck the gulf coast, her response was, “Casey, what are you going to do? You can’t rebuild people’s homes. Are you going to be their on site entertainment?” And she was right. I couldn’t rebuild their homes. And I did provide a little on site entertainment! I mean, have you seen me hang pictures on my wall? I’m not the girl that needs to be holding the hammer. But I went and my life was forever changed, not by anything I had done but by the way the Lord spoke to my heart and showed my that this life is not about my own selfish ambition but His love being shared to those that are hurting and in need of a Savior. I have never had a single soul that I’ve encouraged to do missions return and say, “Casey, I wish I’d never gone!” but have rather returned with a heart of gratitude, not necessarily to me but to the Lord for all that He had taught during that time. 4. Find a good, solid biblical community. There were times in my life where I hopped from church to church, or even didn’t go at all, and those were the times that I struggled most. There was a time, not that long ago, after college where I stopped going to church. I wasn’t mad at anyone, I didn’t have any big falling out disappointment. I didn’t leave for another church, I just stopped going. I still lived 5 minutes from the church that I had found to be my home for 3 years but I stopped going. I found myself in a season where I could not go to church with out crying; and it wasn’t just one of those, “God is speaking to me and I can’t stop these tears from falling down my face” kind of cries. It was the “I can’t breathe, snotty, ugly, only should be done in the privacy of your own home” kind of cry. It was the strangest thing. If M was in town to go with me, I was fine but there was something about sitting alone among all of the families in my church that I loved so dearly that I was reminded that I was alone. Satan would whisper to me that I was an orphan. I would drive the 5 minutes from my sweet little rental home to church and have what I can only describe as a panic attack sitting in the parking lot of my church just thinking about walking through those doors alone. And I was embarrassed. No one knew what was going on with me and I’m pretty sure everyone thought that I was going somewhere else but I wasn’t. I was just sitting at home, waiting for my roommates to get home from their church so we could go grab lunch. I can say now that I look back over that season that what I needed most was community. I needed family. And Satan knew that and He whispered exactly what was necessary to keep me from experiencing the love of Christ that is found through true biblical community. Get involved in a small group. Find a church that you can make your own. Invest your life in those people and allow them to invest in your life too. 5. Take care of yourself. You’re the only you and people need you to be you. (That was a lot of you’s!) Self care is one of those things that I ignored because I saw it as just being lazy but our bodies need a break. Learn how to say no. It’s ok! There will always be opportunities to go to dinner or go shopping of whatever the case may be. But only if you take care of yourself now! We only have one body and we have to take care of it! Get good rest, make smart eating choices (says the girl with 3 birthday funfetti cookies beside her laptop), drink lots of water, read a book, go for a walk, stop and smell the roses, refinish a piece of furniture, go to a flea-market, do what ever it is that brings you joy and fills you up. M and I were talking last night about how a friend was sharing with him the importance of taking a Sabbath and how we often see that day of rest as lounging around and being lazy and while there’s nothing wrong with that(! ), taking a Sabbath is all about being filled back up. Work and kids and just life is really draining and we have to take time for ourselves to be filled up in whatever way that means for you. For me, it’s sitting here on my patio, wrapped in my grandma’s quilt, drinking coffee, eating the birthday cookies that my roomies left for me and writing this blog while listening to All Sons and Daughters. Find your happy! And take care of you! 6. Put less stock in people and more stock in God. I read a blog by a friend several months ago as she reflected on her short time being married. She wrote how she had a false idea that once she got married, she would no longer feel lonely but that was not the case. She was still lonely and the reason is because she was relying on her husband to fill a void that only God could fill. How grateful I am for her transparency! People are human and they’re going to let you down. Don’t place responsibility on the shoulders of man for things out of their control. That loneliness I often feel is there not because of an absence of people but an absence of community with my Heavenly Father. God provides all things. Even though it’s been nearly 4 years since my precious mom went to be with Jesus, I still find myself feeling lonely and no one on Earth could ever take her place. HOWEVER, the love of Christ is powerful and when I’m filled up with His Holy Spirit, my mind is refreshed and I find myself shouting “Oh death, where is your sting?” God is the provider of all things! Trust Him in that! 7. People are hurting and they need a Savior. All around us. Every one has a story. A story of disappointment, a story for their pain. And they need Jesus. For this reason alone, there is no need to ever be unkind. Even when people are being ugly to you and are being unkind themselves, you are not given a pass to be unkind in return. In fact, by remaining respectful and kind in spite of other’s short comings, you are being Jesus to them. As humans, we’re going to disagree with people. It’s going to happen. We’re going to be disappointed by others. We’re going to disappoint others ourselves but what difference could we make if we took a deep breath when we have the urge to be unkind to someone and did the opposite? What if we showed more grace and less justice? What if we took a minute and looked at others as a child a God? Choosing joy and choosing to be kind is the only way we’re going to make it and the only way we’re going to bring others closer to the Father. My motivation behind this blog is not to boast but really the opposite; to share my shortcomings in hopes that my readers do not have to stumble over the same blocks that I have over the years. I am a new creation in Christ not because of anything I have done but because of everything that He has done to mold and shape me through my trials. Redemption’s Song is just that, a cry of praise to the Lord for the valleys we’ve conquered together! May we sing out Redemption’s Song with every breath we breathe! As I drove home yesterday, Leslie Jordan of All Sons and Daughters made a comment about the waiting that really struck a chord in my heart. She said, “The waiting is sometimes more important than what He calls us to do, what we learn in the waiting is sometimes a greater message.” How beautiful a thought! I know that I have many friends that are in the adoption process and they’re waiting for their child knowing that this is what God has called them to do. I have friends that are in search of jobs and seeking God’s direction on what’s next knowing what God has called them to do. Take heart, my friends! Soak up this time of preparation! Draw near to the Lord and listen to his voice. He has not forgotten you nor the promise He made! He sees your pain in the waiting and He is still working even when you can’t see Him. He’s stirring and teaching and working. He hasn’t forgotten about you just as He hadn’t forgotten the promise of return that He made to the disciples that he would return again. He’s made that promise to us as well. That He will return again! Know that you are not alone in your season of waiting. You are in great company. May we all come together and support, encourage and pray for our brothers and sisters that are playing this waiting game with us. We’ve not been forgotten. We did not hear God wrong. The course may have changed direction and you may feel that you can’t see God working but know that His promise is true! Know that I’m here with you in this waiting game and I’m praying for you and with you. Let me know how I can pray for you in this waiting game. I have a choice while I’m on the sales floor with my customers. I can choose joy. I can choose to take possession of the ball and play offense rather than just absorbing their negativity. We all have that same choice no matter your work/home environment. 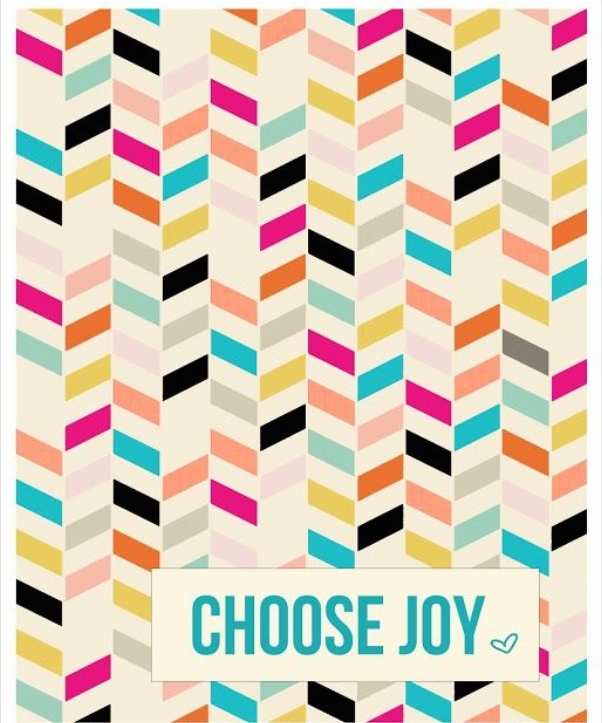 We can choose joy! We can choose joy because the same power that rose Christ from the grave lives inside of each one of us and He will overcome each trial we face. And we will face trials! We live in a broken, self-seeking society. Trials are inevitable but how much further will we come as a body of believers if we choose to praise God in the good and bad. Now I do not want to give you the wrong idea. This does not mean we should give a false positive and pretend like our world is perfect. We’ll get more into that in my next blog. The problem doesn’t lie within the fact that we are broken but in our choice to not allow God to pick up the pieces and reveal to us that He holds the bigger picture. We should acknowledge our broken spirits before God. We should take a moment to realize that this situation really is terrible. We should privately take time to evaluate difficult situations and during those times of solace and humbling ourselves before The Lord, He is faithful to come into our hearts and set us free. We do not have the ability to choose joy in our own strength. It’s something we must seek out by asking God to heal our brokenness from the inside out. We live in a broken world. We can still choose joy. Join me in praying for joy. Pray for me as I seek joy in my workplace. Let me know how I can pray for you, too. As I sit on my couch wrapped in a blanket and catching up on my shows from the past week, I wanted to get started on this new challenge. Writing is my way of seeking healing and with working full time, taking seminary classes and keeping up with Shonda Rhimes’ genius, writing has been placed on the back burner. Redemption’s Song is the title of a memoir I’ve been working on for a little less than a year and I will be releasing excerpts here and there as I feel lead to share. My challenge for myself is to post at least once a week as a way of releasing tension and allowing God’s healing hand to move in and through my heart. I’m a very simple girl and I enjoy simple pleasures like sitting on my patio with a cup of coffee or tea, a journal and a full heart. I change into sweats/running shorts as soon as I get home from work. I unashamedly eat ice cream straight out of the carton. And speaking of ice cream, my nephews and I LOVE to go to the local DQ to grab ice cream and french fries! Nothing makes me happier on a Saturday morning than waking up early, throwing my hair in a messy bun/braid, and hitting up as many flea-markets, thrift shops and yard sales as possible. I take way too many photos. I text way too many screen shots. I pin way too many workouts I’ll never try and I can never go to Target alone. (I’m sure every other girl reading this completely understands!) I love crafty projects and if given the opportunity, I would quit my job and do nothing but refinish furniture and hang out on my porch with my favorite mug full of joe! I live in Nashville and I adore it here! I moved to the area in May of last year from Jackson. I grew up in a small west TN town where every one knows everything about every one. After graduating from the University of Memphis, I worked for a year as a receptionist at their new campus in Jackson on a one year contract. As my contract was nearing the end, so was my lease at my rental. My boyfriend got a job and moved to Nashville just a few months prior and it just seemed like a great time for me to make the move. I had some girlfriends that were making the move at the same time and so we all moved together. I found a job, we found a wonderful church plant where we can grow and learn and be a part of a biblical community and I have loved every minute of my time in this city. I have always known that Seminary was in my future and after a few months of living in Nashville, I knew that it was time for me to get back in the academic saddle. The thing that I love about Nashville most is it’s diversity. Nashville is widely known for her music scene but Nashville also has a fast growing population of refugee families from around the world. As a girl with a huge heart for people of all nationalities, this is my favorite part of this city! I love that there are International markets on the street corner near my house. I love that I’ve had the opportunity to speak broken Nepali to sweet ladies outside of their apartment. I love that there are random food trucks with every kind of food from BBQ to Chicken Tikka Marsala, from tacos to gourmet coffee! I love that there are representatives of various people groups worshiping with us on Sunday mornings in their own languages. I know that there will come a day when my nomadic spirit will lead me to a new location but until then, Nashville is home!